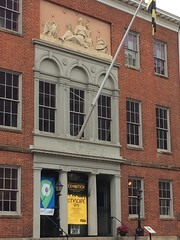 The Peale Center for Baltimore History and Architecture is a cultural commons, a new kind of museum for the 21st century, based in the oldest museum building in the United States. Through community-led cultural storytelling and programming, the Peale helps people see Baltimore in a new light by enabling its creators and culture-keepers to produce and share new and more inclusive narratives of the City, its places, and the diverse people who have made Baltimore what it is today. 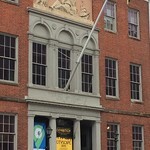 In the creative and innovative spirit of its founder, the Peale aims to reinvent the urban museum as not just a treasure house but a production house of culture. After 20 years of being mainly vacant, the Peale Center is back at the center of Baltimore culture, hosting unique events, partnering with community groups, and providing cultural organizations with a fertile testing ground for innovative projects. The Peale is open for special events and exhibitions throughout the restoration of the building’s exterior. Contact us about rentals or to propose future shows!